“We spent the day picking up dead bodies, all day that’s what we did,” Jean told Fox News. “There’s so much bodies in the streets that the morgues are filled up, the cemeteries are filled up. Describing conditions in the Haitian capital as “the apocalypse,” Wyclef wants the US government to impose a state of emergency. 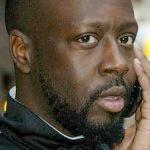 Below, Wyclef Jean is interviewed on Fox News. This newscaster does not get it, he is all “how did you spend your day?” He is not interested in Wyclefs description of how bad it really it is.